Will Britain have to dig for survival? If you’re already a keen vegetable gardener, this may not be of a great worry to you. But to those of us who find mowing the lawn too much trouble, the following may be hard to swallow. The agriculture minister David Heath has claimed that unless households start digging and growing their own food, we will face empty supermarket shelves as they will struggle to import enough food to feed us. The government are currently warning about future food shortages which could occur as the UK currently imports 40% of its food. The freezing temperatures earlier this year have already had an effect on crops, with potatoes, carrots, tomatoes and peas all being affected by waterlogged ground and low levels of light. More surprisingly this year Britain will need to import more wheat than it exports for the first time in a decade. Will you dig for your survival? Over the past 10 years, the growth of tomatoes, cucumbers and spring onions in Britain has fallen so low that they have been labelled as “endangered”. Brussels sprouts, lettuce, leeks and cauliflower are also at risk of becoming “endangered”. If action isn’t taken by the government, there will be even less home grown food on supermarket shelves and food prices will continue to rise. While we wait for the government to take action, people can do their bit by growing fruit and vegetables in their gardens. 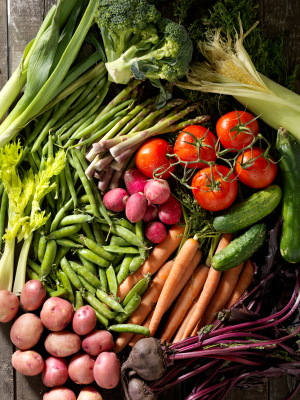 The number of people growing their own fruit and veg is already on the increase, as the share of fruit and veg grown in allotments and gardens rose from 2.9% in 2008 to 5% in 2011. For those looking to make small changes, herbs, salad leaves, chillies and garlic are all easy to grow and a great way to get started. So why not give it a go and see what you can grow. Need storage for all of your new gardening equipment? Asgard have it covered with their range of metal garden sheds. More trouble for Boris Bikes? Following up on my previous article on the possible failure of Boris Bikes, recent news has highlighted the decline of Boris bike rentals so far this year. This fall has been attributed to the bad weather we’ve had so far this year and the rise in Boris bike rental prices, which was implemented at the beginning of 2013 and saw prices double. 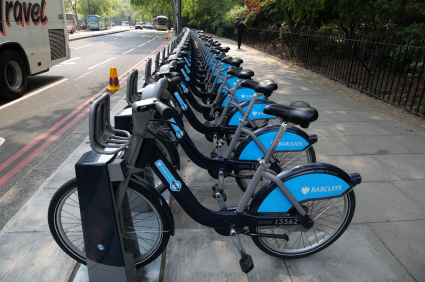 The most recent figures from the 1st week of March showed that 135,364 bikes were hired compared to more than 193,000 in the same week in 2012 and it has been found that the use of the Boris bike scheme has been in steady decline since its peak, in the weeks leading up to the Olympics. Hopefully people will be commuting more using their own bikes and not give up on cycling as a means of transport altogether. However it is possible that cycling as a form of transport is losing its appeal to those ‘non cyclists’. There are many things that put people off cycling such as high profile cycling fatalities, which can be very scary and daunting, especially to those of us not used to cycling in busy urban areas. The recent Boris Bike accident involving a cyclist and a lorry, which has left the cyclist fighting for his life, will only highlight peoples existing fears about not only using Boris bikes, but cycling in general. Are people giving up Boris for their own bikes? Other cities plan to take on similar bike schemes to the Boris bikes, in a hope to get more people commuting by bike. However as we all know, in order for bike schemes and cycling in major UK cities to really take off, something needs to be done to make cycling safer for all, in terms of better road layouts and cycling infrastructure. What is the best way to store a motorbike? This Asgard motorcycle garage is made from strong weatherproof steel, the same as all Asgard metal storage units. Our motorcycle garage features vented side panels, which allow exhaust vapours to escape. This garage comes with easy to follow step by step instructions. An assembly service is also available. Fitted with large double doors for easy access inside the garage. This motorbike garage is fitted with an integral metal base and supplied with a protective wooden subfloor. The provided hook rail is ideal for hanging helmets and leathers. The heavy duty ramp allows you to ride your motorbike straight inside the garage. Fitted with a tough 5 point locking system to keep your motorcycle safe. The Asgard motorcycle garage is the only Locksmith Association Approved Motorcycle Garage in the UK. 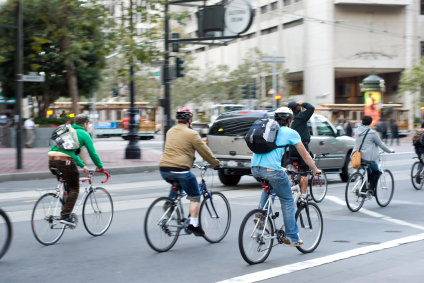 Cycling MP’s in the UK are calling for more than £1bn a year to invest in cycling. This is just one of the many recommendations outlined in the ‘Get Britain Cycling Summary Report’ published by the APPCG (All Party Parliamentary Cycling Group). There should be rules to make sure cyclist and pedestrian needs are considered early on in new planning schemes. Better driver training for lorry drivers is needed and HGV’s should have their movements restricted on busy streets during rush hour. It is recommended that cycle training is provided at all primary and secondary schools. The recommendations made in this report will help to improve public health and make roads, towns and cities a safer environment. However in order for all of the recommendations to take action, 10 times the investment will be needed. The investment should be increased from £2 per head to £10 and this should be increased again, to £20, as cycling’s popularity begins to increase. Norman Baker, a local transport minister stated “we are grateful to the APPCG for raising the profile of cycling and will respond to the report shortly”. View the full Get Britain Cycling Report. Is this the new bike theft deterrent? 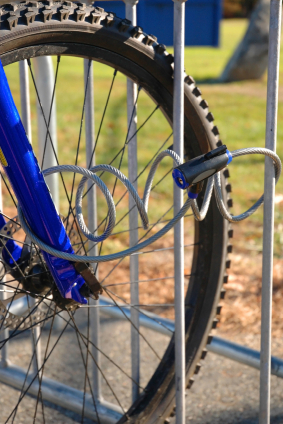 A team from Newcastle University may have found a new way to deter bike theft. The team decided to test out a theory that people behave better when they think they are being watched. Research has been carried out for 2 years, by placing pictures of staring eyes above cycle racks around the university campus. It was found that there was a 62% drop in crime rates at the bike racks which featured these pictures and the bike racks without these pictures saw thefts increase by 63%. Due to the massive positive effect that this has had on crime rates at the university, it is now being tested at various train stations by the British Transport police. This may prove to be an effective way to deter bike theft from public areas, however this may become less and less effective as thieves realise there is no real threat behind the image. This may work in a public place, but we’re pretty sure it wouldn’t have the same effect at some one’s home. 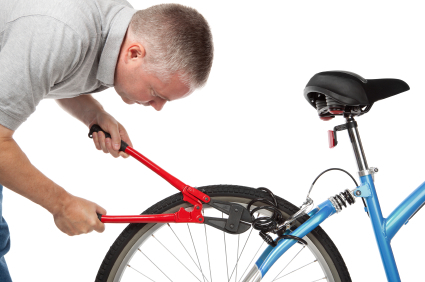 Make sure your bike is fully protected from theft at home, by keeping it locked away securely and out of sight. 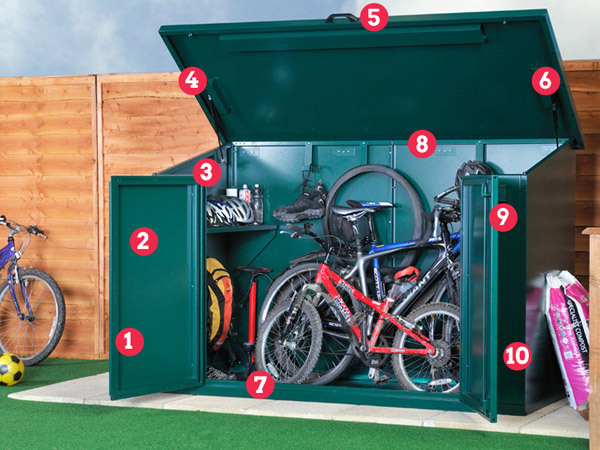 If you’re looking for secure home bike storage, Asgard metal bike sheds offer fantastic protection against theft. See the full Asgard metal bike shed range here. Statistics provided by BBC News. How can I store 4 bikes? The Access 4 bike shed is the best selling bike shed from Asgard. This bike shed is popular because of its large easy access double doors, easy lift up lid and shrouded locks. This 4 bike shed from Asgard is made from strong weatherproof steel, the same as all Asgard metal storage units. Shelving and hook accessories are available to purchase, adding more storage space to your unit. All Asgard metal storage units are fitted with a unique ventilation system to minimise condensation. The Access 4 bike shed has a unique gas assisted lift up lid. This metal bike shed comes with easy to follow step by step instructions. An assembly service is also available. Security is added with an integral metal floor. Asgard bike storage units feature no exposed screws or dangerous sharp edges. 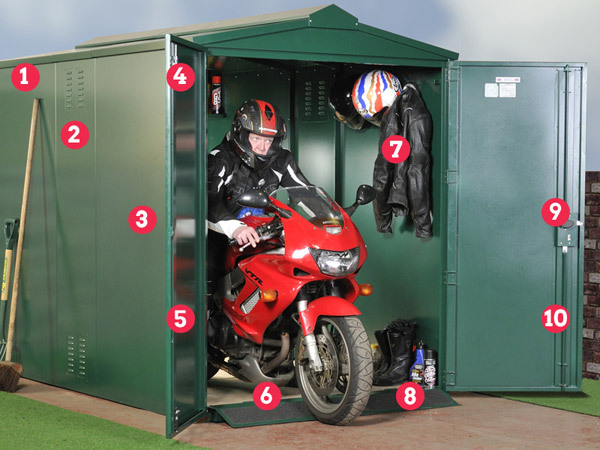 This bike shed is fitted with two shrouded locking points, designed to keep thieves out! Fit up to 4 bikes securely in the Access bike shed. See the full range of Asgard bike storage. Bike racks instead of car parking spaces? Would you rather have cycle racks outside your home instead of a parking space? Cambridge city councillors are planning on doing just that, as parking spaces in tightly packed terraces could be replaced by cycle racks if residents choose. This will be trialled in as an idea in intensely developed areas. Martin Lucas- Smith the campaigners chairman stated that he had been approached by households living in the area that wanted on street bike storage. Councillors have said that they would be interested in testing out this idea, but realise that any changes would have to be carefully thought out as car parking spaces are also in heavy demand. However this does raise the question as to whether it will increase the amount of bike thefts in the area. If large quantities of bikes are kept in a specific area every night, they are very likely to become targets for bike theft. As Cambridge is one of the worst places for bike theft in the UK, these bicycle racks could just encourage bike thieves in the area. It will be interesting to see what residents in the areas think of this idea and whether the scheme will be successful when trialled.